In Rememberance -Pearl Harbor Day. | A.B.E. Remodeling, INC. Along with others we take a moment to pause and reflect on that horrific event 74 years ago. I was not there but learning about it through history left proof that it was a day of gloom. I can only imagine how the USA was taken by the awful news. In thought we honor those who gave their lives. Unfortuanately, there have been other loses in all wars and in other events but today is the reflection of Pearl Harbor. Be thankful for Freedom. NATIONAL PEARL HARBOR REMEMBRANCE DAY Each year on December 7, National Pearl Harbor Remembrance Day is observed across the nation. 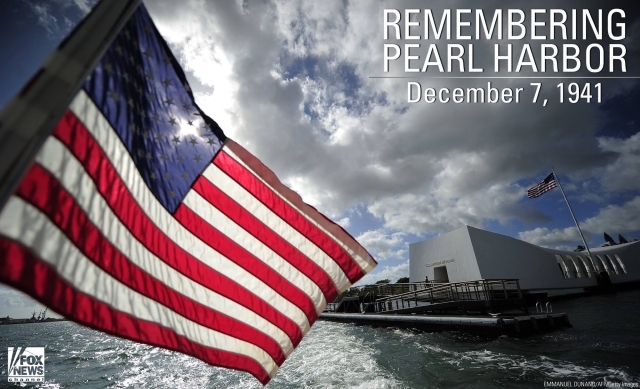 This day is a day to honor all those those who lost their lives serving this nation at Pearl Harbor. There were more than 3,500 Americans that lost their lives or were wounded on that solemn day.National Pearl Harbor Remembrance Day is also sometimes referred to as Pearl Harbor Remembrance Day or Pearl Harbor Day. OBSERVE: Traditionally the Flag of the United States is flown at half-staff, until sunset, to honor those who lost their lives serving this nation at Pearl Harbor. Use #PearlHarborRemembranceDay to post on social media. HISTORY: It was on August 23 of 1994 that United States Congress by Pub L 103-308, designated December 7, of each year, as National Pearl Harbor Remembrance Day.